So Kiyota-san has told us that she was squeezed totally dry. So would it be fair to say that Takahashi-san’s mails were extremely skilfully and precisely crafted in order to draw out each individual’s strengths? Well, actually my staff played a sort of mediating role. So you’re saying you didn’t send the mails directly, Takahashi-san? I have a tendency not to mince my words when I’m talking about things I think are important. So I’d have my first-draft mail rewritten in a milder form, which would then be sent on to the musical team. So you’re only finding this out now? ...I really couldn’t show them those first-draft mails. They were really that harsh? But now that I’ve heard that someone else was writing those mails, the penny has finally dropped. I mean, I got the impression from the mails that it wasn’t simply the opinion of a single person. It seems that we’ve solved the mystery here today. Well, when one is trying to gather a lot of different strands together and unify them, it’s necessary to be extremely harsh about a whole range of things. If you allow your judgement to be too lenient, it’s very easy for things to get out of hand and deteriorate. That’s why you have to demand perfection in this aspect, and that aspect, and if you don’t come down hard on elements that don’t come up to scratch, you’re never going to be able to achieve the final product you’re aiming for. But at the same time, if you express exactly how you feel, there may be people who can’t cope with it. That’s why you had to have someone mediating, sugaring the pill, so to speak. But even with this person in the middle softening the sharper edges of those mails, it still seems that Kiyota-san was cut to the bone. Did these email exchanges continue right through to the very end of the project? Once we’d got past the mid-way stage of the project, I stopped writing so many harsh mails. I’d imagine that’s because everyone had become able to judge the right atmosphere and harmonise their work with each other. CHiCO-san, how was it really? Well, I think once we were past the mid-way stage of the project, we were able to see the direction that the music composition needed to be going in. At first, it was very tough, as you can imagine. Kiyota-san and I were on the verge of tears on a daily basis. At first, we were separate teams with our own distinct sounds. 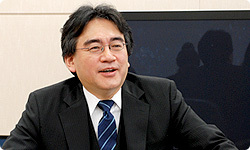 Takahashi-san would repeatedly tell us that we needed to put a lot of emphasis on giving the game world a unified feel, and not allowing it to sound disjointed. He was saying that because the music we were making wasn’t consistent. However much we tried, at the start, you’d have one section that was Kiyota-san, and then the next section would be Ace+. Only over time did we manage to bring it all together. The Ace team actually came round to my house. And Kiyota-san visited my house too. Ah, I see. So you would go to each other’s homes. We thought it was best to use the same kind of set-up in order to unify the music we were making. So through this process, you gradually coalesced into a single team. In the end, we really pulled together. So you pulled together, became close, and as Takahashi-san mentioned earlier, the music really started to become coherent from the mid-point of the project onwards. But what was it that spurred you and the Ace+ team on so that you arrived at that point? Kiyota-san spoke a little earlier on about how happy she was to be able to work with Shimomura-san and Mitsuda-san. Well, it was the same for us. We have a huge amount of respect for Mitsuda-san, and as he has always worked alongside Takahashi-san, we had faith that if we followed Takahashi-san, we wouldn’t go wrong. Mitsuda-san, were you aware that others saw you in this way? ...No, I didn’t have the faintest idea. In any case, for those reasons, I thought it would all work out if we trusted in Takahashi-san right through to the end. Moreover, he arranged and sequenced the music in all sorts of scenes, and he did this to an incredibly high standard. Now, the theatre allowed me to embark on a musical path, and I’ve got very strong opinions about what kind of audio to use in particular scenes. There were lots of cases where a song I’d expected to be used in a certain scene was used somewhere else, and I would think: ‘Huh?! You’re putting this track here? !’ But it ended up working extremely well and I was glad that I’d gone along with Takahashi-san. At the start of the interview, I spoke about music playing a redemptive role. Games are about more than touching the controller with your hands or seeing things. The sensation that comes from the sound is incredibly important as well. 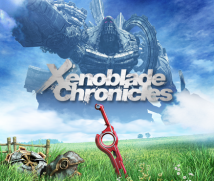 Do you feel the same about Xenoblade Chronicles, that the music has a redemptive quality? Yes, I do. I feel it particularly strongly about this title. That’s why I had a really strong desire not to waste a single sound. Naturally, I requested that the team come up with particular music. Then after giving my rather harsh opinions, the music would come back to me, and when I listened back to it, I would discover something altogether new. I’d realise: ‘This music is expressing this feeling...’ I would then think that it might work better in a different scene. I arranged the music with the utmost care.